Hello friends! 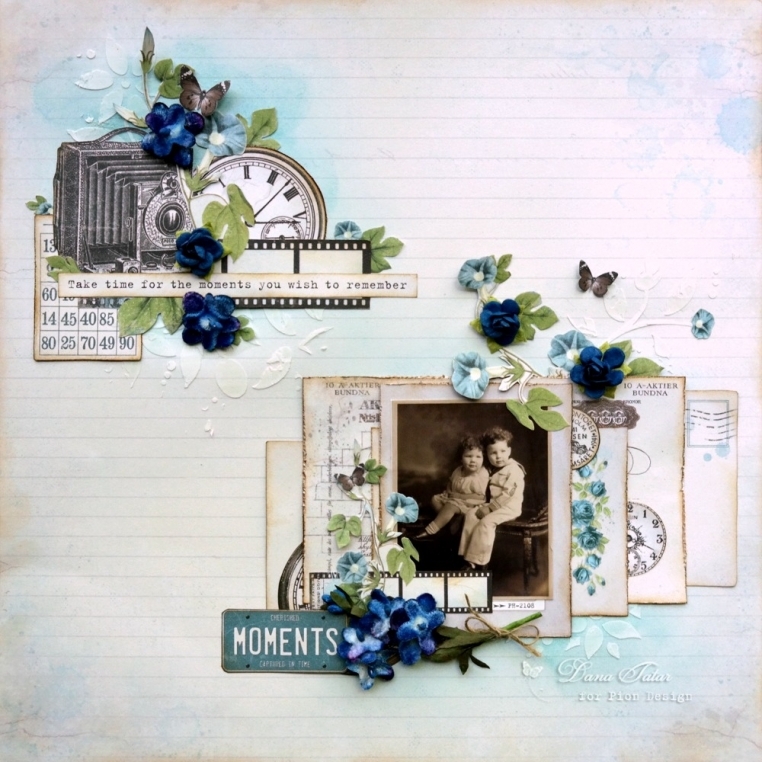 I’m sharing a feminine layout today that I created with the new Mister Tom’s Treasures collection. There are beautiful blue floral accents on a couple of the patterned papers and I brought them together to create this page featuring a photo of my Great Aunt and Uncle. I do not have copies of very many of the older photographs from my family, so this picture is special to me. 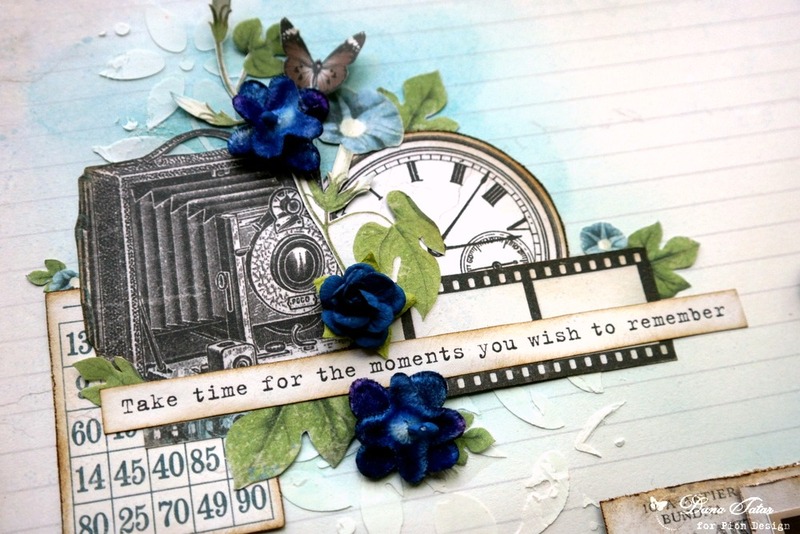 This collection features cameras, pocket watches, and film strips that are great for cutting and layering. I placed this collage of paper images on top of blue ink and a subtle floral molding paste pattern that I applied with a stencil. I really love this soft romantic layout that I created with one of the more masculine lines. It’s not just for the boys!